Trimming or cutting your natural hair can be daunting especially if you’ve typically relied on hairstylists to do it for you. 1. Always trim/cut with a professional hair scissors. Never scrimp by cutting your hair with a household scissors that just happens to be lying around. If you do that, your hair might potentially become more damaged! 2. To get the best results from trimming always hold the tips of your hair towards the light so that you can clearly see split ends and single strand knots. Sometimes, knots and splits have a way of disappearing or seeming difficult to find. By holding your ends up to the light you’ll be able to see damaged hair far more quickly. 3. Get used to ‘dusting.’ What’s that? It refers to the process of only trimming the unhealthy and damaged parts of your hair and not the rest of it. For example, traditionally, stylists and hair professionals have encouraged us mere amateurs to trim our hair in sections. Whilst this is great if you want your hair to be more even in length, it has the unfortunate downside of causing you to lose both your healthy and unhealthy hair. If you’re looking to retain as much length as possible, only trim off the unhealthy ends rather than trimming your hair in sections. This process is called dusting. Now it’s over to you: do you have a secret or special method for finding dodgy strands and snipping them? Leave a comment below telling us what you do to keep knots and splits at bay. PS. 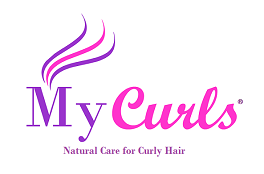 if you’re looking to get shinier curls this summer, check out our range at MyCurls.co.uk.